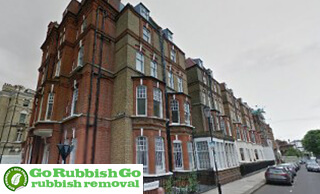 As Chelsea’s premier house clearance company, Go Rubbish Go can take on a range of different tasks relating to house clearance – small and large-scale clearances will be handled without a problem with us on board. Our Chelsea, SW3 house clearance services are also in high demand. As a local SW3-based company, we take on more clearance jobs than any other company in Chelsea. 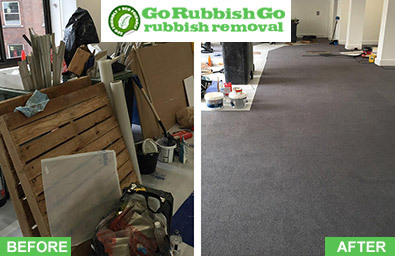 People use our services to get rid of furniture, piles of household junk, boxes filled with unwanted items, and tend to use us as an alternative to skip hire. Nobody in SW10 wants an unsightly skip blighting the beautiful local area if they can help it, so booking with us is the logical choice. To get started and for a free consultation, contact us on 020 8610 9182. Taking care of a house clearance task can be a big challenge if you’re in Chelsea and don’t have some expert help on board. 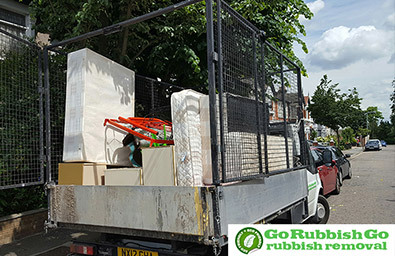 That’s why Go Rubbish Go operates in the vicinity, so that you can get your house clearance Chelsea, SW3 requirements taken care of in just one, quick and simple service. We’re here for your convenience, but that doesn’t mean that our standards will slip at any stage of the process. You may also think, that because we’re based in the affluent postcode of SW3, that our prices will be premium. If these are your thoughts, place one call to us and we’ll soon straighten out your misconceptions. Our services are very reasonably priced considering our competition and what’s on offer. Call us on 020 8610 9182 to get your price quote today! Our house clearance team in Chelsea are always happy to help, whatever you require and whatever your specific circumstances may be. We can provide tailor-made house clearance SW3 services, so you’re getting exactly what you’re after from your trusted, local company. Our staff representatives are also on hand to answer all your enquiries, talk you through everything that we’re about and how our team will go about freeing your property from household rubbish. Give us a call on 020 8610 9182, chat with our friendly, knowledgeable staff, and you’ll soon come to the realisation that we’re the best clearance company in the local area. So don’t delay, call today! After a Chelsea house clearance SW3 service? Then why wait? If you want your house cleared from junk and unwanted items, put the job off for another day and you may never get around to it. The junk will just accumulate and accumulate, until you’ll have no other option but to call a professional SW3 house clearance Chelsea team. Ever heard of that saying – don’t delay what you can do today? Well, that holds true when it comes to getting rid of household junk. Call our company and you won’t have to wait to book our services at a time that’s convenient for us. We’re all about making the process convenient for you. Book a same-day service for an urgent clear-out! Getting your house clearance requirements sorted in Chelsea can be a real hassle. Sure, there are many companies all vying for your attention, but knowing which company to trust can be tricky. But call our SW3 house clearance team, and we’re sure that you won’t feel the need to look elsewhere. Our aim is to put you at ease, when you call us but also throughout the entire process. Hire us and enjoy a stress-free experience, our services are simple and easy to understand. You won’t be lumbered with having to pay for add-ons you never asked for. We provide simple, yet professional services at cheap prices – and that’s that. You live in a beautiful area of the city, you’ve spent a lot of your hard-earned cash to join the SW10 community and so we expect you wouldn’t want to see the local environment go downhill. Many towns and cities around the world have suffered due to modernisation, increasing populations – more people means more rubbish. The majority of the Chelsea house clearance companies in SW3 don’t do anything to help the matter. Chucking items into landfill is the easy option, but these actions all contribute to global warming and other environmental issues. That’s why when we carry out house clearance Chelsea services , we aim to recycle as much as possible. Call us and most of your items will be going to a recycling depot, not into landfill. A prominent district in the Royal Borough of Kensington and Chelsea, South West London, Chelsea is known for its exclusivity and high property prices. The term Sloanie, or Sloane Ranger, that is used to describe young upper-class residents that pursue a fashionable lifestyle is derived from Sloane Square, a location within the area famous for its wealthy residents. Chelsea is close to other affluent areas too, like Belgravia, South Kensington and Pimlico. In the past, the area was famous as a bohemian quarter and was home to many artists, poets, writers and radicals such as T.S. Elliot and Agatha Christie, among others. Chelsea F.C. is based close by, in Fulham. Although there is currently no tube station in the area, there are good transport links from the nearby South Kensington and Sloane Square stations.